We have remained committed to the new development philosophy, adopted the right approach to development, and endeavored to transform the growth model. The result has been a constant improvement in the quality and effect of development. The economy has maintained a medium-high growth rate, making China a leader among the major economies. With the gross domestic product rising from 54 trillion to 80 trillion yuan (about 12 trillion US dollars), China has maintained its position as the world’s second largest economy and contributed more than 30 percent of global economic growth. The level of urbanization has risen by an annual average of 1.2 percentage points, and more than 80 million people who have moved from rural to urban areas have gained permanent urban residency. The new institutions of the open economy have been steadily improved. China now leads the world in trade, outbound investment, and foreign exchange reserves. We have made major breakthroughs in deepening reform. Thanks to the launch of over 1,500 reform measures, development is full of vitality and is driven by greater creativity throughout society. We have steadily improved living standards. More than 60 million people have been lifted out of poverty, and the poverty headcount ratio has dropped from 10.2 percent to less than 4 percent. Employment has registered steady growth, with an average of over 13 million urban jobs created each year. With decades of hard work, socialism with Chinese characteristics has crossed the threshold into a new era. This is a new historic juncture in China’s development. The principal contradiction facing Chinese society has evolved into unbalanced and inadequate development and the people’s ever-growing needs for a better life. China is still and will long remain in the primary stage of socialism. China’s international status as the world’s largest developing country has not changed. The Thought on Socialism with Chinese Characteristics for a New Era stresses that the overarching goal of upholding and developing socialism with Chinese characteristics is to realize socialist modernization and national rejuvenation. And on the basis of finishing the building of a moderately prosperous society in all respects in 2020, we will carry out a two-step development approach, namely, in the first stage from 2020 to 2035, we will build to see that socialist modernization is basically realized. From 2035 to 2050, we will develop China into a great modern socialist country that is prosperous, strong, democratic, culturally advanced, harmonious, and beautiful. China will make new ground in pursuing opening up on all fronts. Openness brings progress, while self-seclusion leaves one behind. China will not close its door to the world; we will only become more and more open.We should pursue the Belt and Road Initiative as a priority, give equal emphasis to “bringing in” and “going global,” follow the principle of achieving shared growth through discussion and collaboration, and increase openness and cooperation in building innovation capacity. With these efforts, we hope to make new ground in opening China further through links running eastward and westward, across land and over sea. We will expand foreign trade, develop new models and new forms of trade, and turn China into a trader of quality. We will adopt policies to promote high-standard liberalization and facilitation of trade and investment; we will implement the system of pre-establishment national treatment plus a negative list across the board, significantly ease market access, further open the service sector, and protect the legitimate rights and interests of foreign investors. All businesses registered in China will be treated equally. Giving priority to developing education. We will promote the coordinated development of compulsory education in urban and rural areas, while giving particular attention to rural areas. We will move faster to build Chinese universities into world-class universities and develop world-class disciplines. Improving the quality of employment and raising incomes. We must remove institutional barriers that block the social mobility of labor and talent and ensure that every one of our people has the chance to pursue career through hard work. Strengthening the social security system. We will improve the unified systems of basic medical insurance and serious disease insurance for rural and non-working urban residents, and improve unemployment insurance and work-related injury insurance. We will establish a unified national platform for social security public services. Winning the battle against poverty. We must ensure that by the year 2020, all rural residents living below the current poverty line have been lifted out of poverty. Carrying out the Healthy China initiative. We will improve the national health policy, and ensure the delivery of comprehensive lifecycle health services for our people. China will continue to hold high the banner of peace, development, cooperation, and mutual benefit and uphold its fundamental foreign policy goal of preserving world peace and promoting common development. China remains firm in its commitment to strengthening friendship and cooperation with other countries on the basis of the Five Principles of Peaceful Coexistence and to forging a new form of international relations featuring mutual respect, fairness, justice, and win-win cooperation. 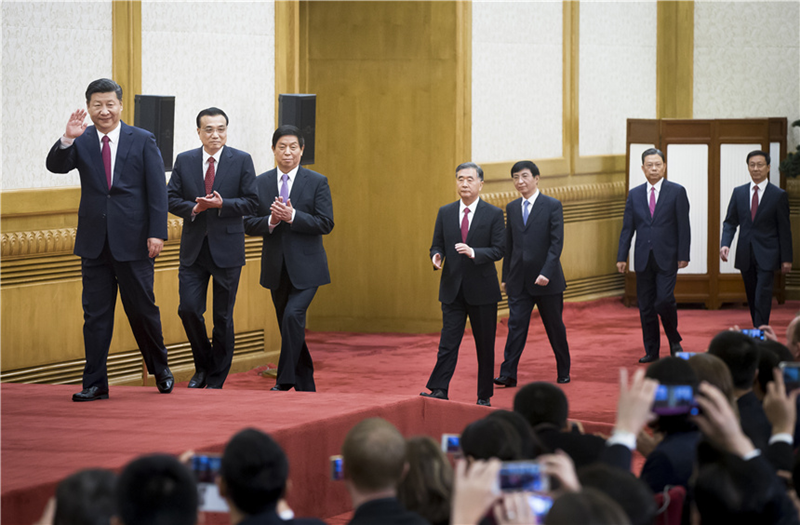 On November 9, 2017, President Xi Jinping met the press at the Great Hall of the People with President Donald Trump of the US, who was in China for a state visit. President Xi Jinping pointed out that over the past two days, President Donald Trump and I have exchanged in-depth views on China-US relations and major international and regional issues of common concern, and reached a series of new important consensus on the development of bilateral relations in the next period. Our meeting was constructive and achieved fruitful outcomes. The development of China and the US is complementary and moves ahead in parallel, and the success of both countries conforms to the common interests of both sides. Faced with complicated and ever-changing international situation, as two major countries, China and the US share more common interests in and shoulder greater responsibilities for safeguarding world peace and stability and promoting global development and prosperity with a broader space for cooperation. The sound and stable development of China-US relations conforms to not only the fundamental interests of the two peoples but also the common expectation of the international community. For China and the US, cooperation is the only right choice, and only win-win cooperation can lead to a better future. President Donald Trump and I have agreed to continue maintaining close contacts in all kinds of ways and exchanging views in time on major issues of common concern. 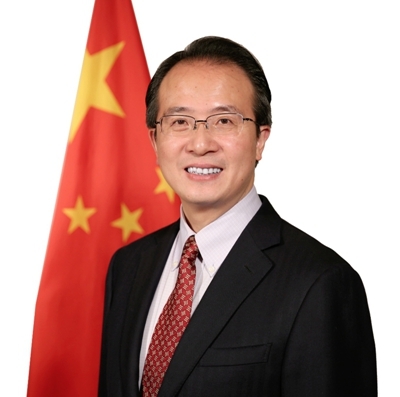 Both sides agreed to make full use of the four China-US high-level dialogue mechanisms, including diplomatic and security dialogue, comprehensive economy dialogue, social and people-to-people and cultural dialogue, as well as law-enforcement and cyberspace security dialogue, so as to jointly push forward the dialogue mechanisms for more outcomes. Both sides agreed to strengthen exchanges and dialogues at all levels between the two militaries, and enhance cooperation in law-enforcement and cyberspace security. When speaking of economic and trade cooperation between China and the US, President Xi Jinping pointed out that the two heads of state believe that as the two largest economies in the world and leading forces of global economic growth, China and the US should expand cooperation in trade and investment and reinforce macroeconomic policy coordination, so as to push forward the healthy and steady development of bilateral economic and trade relations in a dynamic and balanced way. It is necessary to create and initiate the China-US economic cooperation plan in the next step, and actively expand practical cooperation in energy, infrastructure construction, the "Belt and Road" construction and other areas. The business contracts and two-way investment agreements signed by both sides during the visit fully demonstrate the broad space for bilateral cooperation in economy and trade and will bring huge tangible benefits to the two peoples. Regarding the Korean Peninsula nuclear issue, Xi Jinping pointed out that China and the US reaffirmed their firm commitments to realizing the denuclearization of the Korean Peninsula and maintaining the international nuclear non-proliferation regime. Both sides will devote to resolving the Korean Peninsula nuclear issue through dialogue and negotiation, and stand ready to jointly discuss with all parties concerned the effective approach for realizing long-lasting peace and stability of the Peninsula and Northeast Asia. 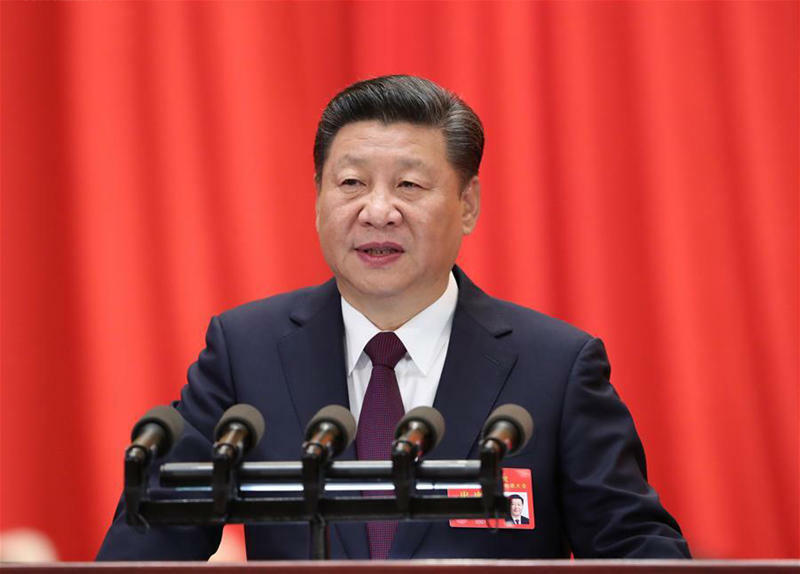 President Xi Jinping stressed that common interests between China and the US far outweigh the differences, and both sides should respect each other's sovereignty and territorial integrity, and respect each other's choice of development paths as well as each other's differences. As long as a constructive attitude is taken, both sides can seek common ground while shelving differences and gather similarities while eliminating differences, so as to promote cooperation. China and the US are two countries with important influence on the Asia-Pacific region. The Pacific Ocean is vast enough for both China and the US. Both sides should strengthen communication and cooperation in Asia-Pacific affairs and foster a common friend circle, forming a pattern of constructive interaction, so as to jointly maintain and promote regional peace and prosperity. President Xi Jinping pointed out that President Donald Trump and I both believe that the friendship between the two peoples is the foundation for the long-term and stable development of China-US relations, and we have agreed to broaden people-to-people and cultural exchanges. 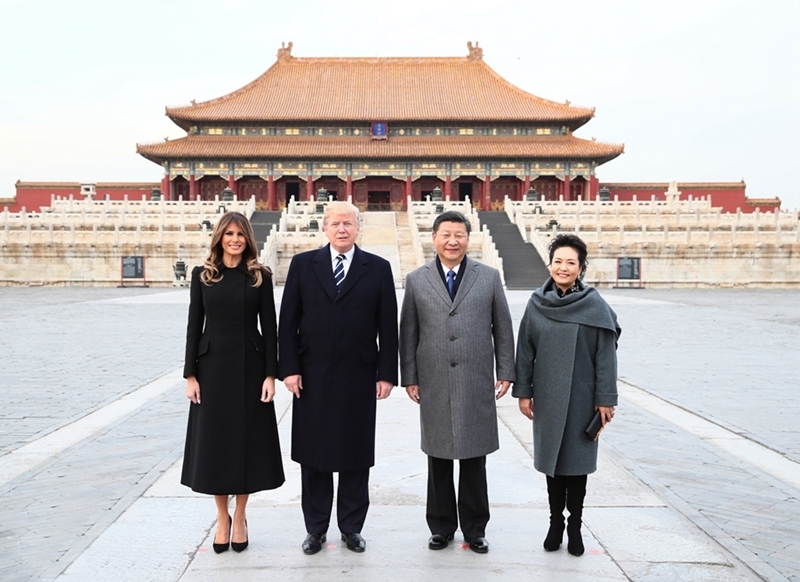 President Xi Jinping stressed that President Donald Trump's state visit to China is a successful and historic visit, and the meeting between the two heads of state has charted the course and mapped out the blueprint for the development of China-US relations in the next period. China stands ready to work together with the US to, in accordance with the consensus reached by both sides, propel China-US relations for greater development, so as to better benefit the two peoples and people around the world. I. What new progress has been made in the exchanges and cooperation between China and the U.S. Midwest? The recent years have witnessed deepening exchanges and cooperation between China and the 9 states in the Midwest, namely Illinois, Michigan, Minnesota, Wisconsin, Missouri, Iowa, Indiana, Kansas and Colorado, which has become a highlight of China-U.S. relations. 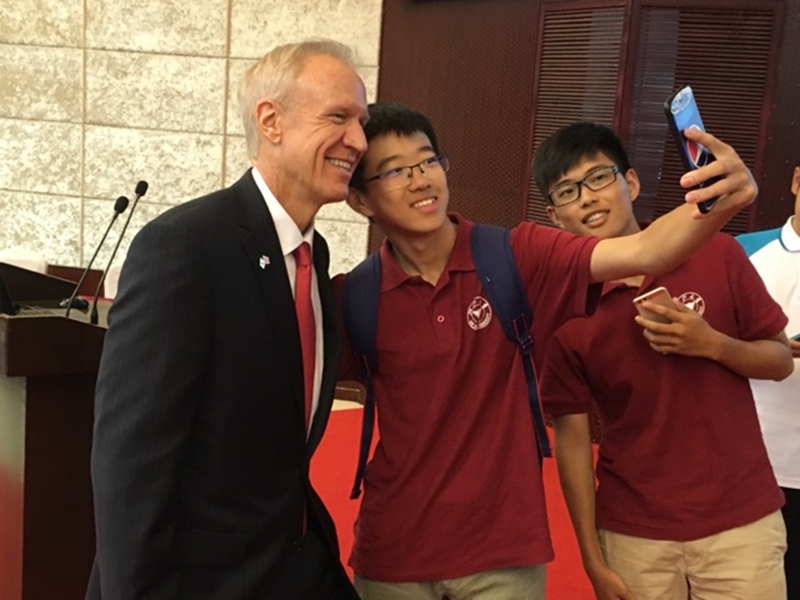 In 2017, Governor Bruce Rauner of Illinois, Governor Rick Snyder of Michigan, Governor Kim Reynolds of Iowa and Governor Eric Greitens of Missouri visited China. High-level government officials of Zhejiang, Shaanxi and other Chinese provinces and cities also led delegations to the U.S.. Zhejiang and Indiana celebrated the 30th anniversary of their sister province/state relationship, Shaanxi and Minnesota, Sichuan and Michigan celebrated the 35th anniversary of their sister province/state relationship. Guangdong and Michigan also celebrated the first anniversary of their sister province/state relationship, giving a strong push for the relations between China and the Midwest. The economic and trade relationship between China and the Midwest is getting increasingly interdependent. Last year, trade volume between China and the 9 states within our consular district surpassed US$90 billion. Multinational corporations based in the region such as Boeing, Caterpillar, GM and Ford have enjoyed growing business in China. China’s cumulative investment in the nine states has amounted to US$20 billion, creating 45,000 jobs for the local communities. Many large projects have broken ground, including the CRRC rolling car assembly plant and the Wanda Vista Tower, the third tallest building in Chicago once completed. Wanxiang America, located in Elgin, Illinois, employed 218,000 people across the U.S.. Yanfeng Automotive Trim Systems Co., Ltd. has established a number of plants and technology centers since it entered the U.S. market and now has more than 10,000 employees. After the acquisition of Michigan's Nexteer Automotive by China's AVIC Automobile Industry Co., Ltd., the number of employees increased from 3000 in 2010 to 5000 now. The cultural and people-to-people exchanges between China and the Midwest are booming. Currently, over 80,000 Chinese students and scholars are studying in universities in the region, bridging the two peoples in China and the U.S.. 19 Confucius Institutes and 38 Confucius Classes have been opened in the Midwest to meet the increasing demand from American students in learning Chinese. During the Chinese Spring Festival this year, the City of Chicago successfully held the Happy Chinese New Year celebrations for the fourth year in a row. Art troupes from China visited all nine states in our consular district and brought the best wishes of the Chinese people to the American people. This past July, the 100-year-old Detroit Symphony Orchestra visited and performed in Suzhou, Wuhan, Changsha, Chongqing and Shanghai, witnessing the warmest welcome by Chinese classical music lovers. II. What are the favourable conditions for the cooperation between China and the U.S. Midwest? First, the immense size of the Chinese economy means tremendous business opportunities for both sides. China has a population of over 1.3 billion. We are pursuing a new type of industrialization, developing information technology, promoting urbanization and agricultural modernization and implementing a strategy of innovation-driven development. This process will generate enormous demands for products, technologies and services from abroad. In the next fifteen years, China is expected to import US$24 trillion of products. Both Chinese investment overseas and foreign investment in China will reach US$2 trillion. We welcome the Midwestern states to fully utilize the existing sister state/province relations and trade and investment cooperation mechanisms with China to advance cooperation with Chinese provinces and cities to achieve win-win results. We welcome U.S. corporations in the Midwest to the first China International Import Expo next year. Second, the two sides can take advantage of favorable policies and reforms introduced by the two countries. Reform is a prevailing trend in today’s world. China will stay committed to reform and opening-up. For example, we have established pilot free trade zones in 11 provinces and cities with the aim of integrating with international trade and economic standards and comprehensively deepening reform and opening-up. China is also advancing the “Belt and Road” Initiative at a faster pace to build platforms for different parts of China to expand their external cooperation. The U.S. and other countries are welcome to participate in the “Belt and Road” Initiative. Third, the two sides can unlock more local potentials for complementary cooperation. Many areas in China and the U.S. boast unique local strengths, which are highly complementary. We need to make full use of these strengths in our cooperation. For example, China is making great efforts in protecting the eco-system, spending over 200 billion dollars each year on environmental protection. In this regard, China has the demand and the market, while many Midwestern states have the technology and the expertise. Therefore, environmental protection constitutes an important area of cooperation.